Ever feel as if vintage shops can be real hit and miss? Well, Fifi Coughlan does the work for you by narrowing down the top five vintage shops in Ireland and London. In the realm of vintage, patience is necessary to unearth that needle in the haystack of which you are searching. It’s the hidden gem amongst garments of tat which makes vintage shopping all the worthwhile. I have served my time trawling through so-called vintage shops over the years while only finding people’s unwanted Dunnes and Penneys clothes, but amongst the rags, you could be sure that you would find some riches. After rummaging through basements of vintage shops in London for hours and wandering through shops with no names in Berlin, I have compiled a list of the top 5 stores that I have visited. This store’s HQ is located in Temple Bar with a second store recently opening in Galway. The great thing about 9 Crows is that they do the hard work for you – if that’s what you’re looking for. Regarding the recent athleisure and logo tees they search long and hard to retail what’s hot right now, mostly specialising in urban and grunge street trends which can be seen around the streets of Dublin at the moment, perhaps targeting the more fashion conscious customer. The male section is also particularly good in 9 Crows, while plenty of their stock is unisex. Some of the best things about 9 Crows are their reworked vintage pieces, handmade garments, jewellery and also their sales! 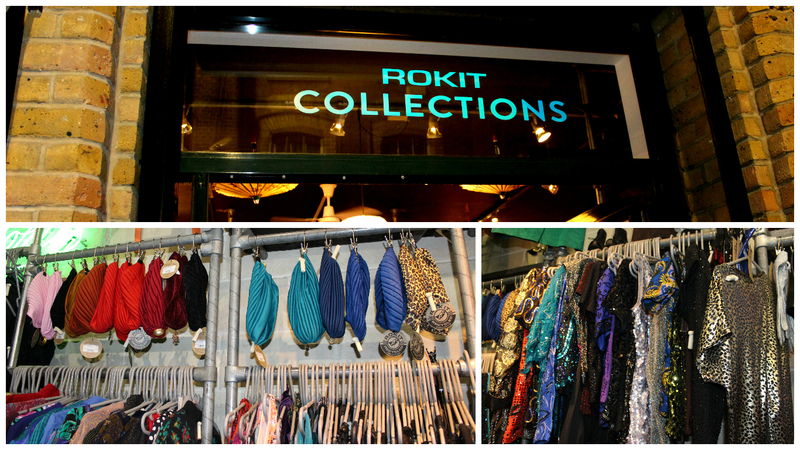 The Rokit chain, located in London, boasts four stores throughout the city, and the ones I have visited consist of the Brick Lane and Camden branches. While the Camden store is quite small it is easier to discover unique pieces. The Brick Lane store is simply just a mecca of vintage, if you have an idea in your head of something that you’re looking for, chances are you’ll find it here. This shop is also ideal for searching for perfect fit Levis jeans and shorts which are so much lusted after at the moment. Last year I picked up a pair of statement sunglasses there and they cannot be worn without a comment being shared about them. This store certainly possesses the wacky and wonderful! Also, another great thing about Rokit is their website, as they categorise their clothes into decades so if you’re looking for something from a specific decade in general, the website is at your disposal. A Cork gem, nestled away on Drawbridge St. just behind the Savoy, Mercury Goes Retrograde exists as one of the few vintage stores in Cork City. While I have seen the prices slightly rise over the years, you can be sure each piece of clothing was handpicked with love and consideration for the buyer/wearer in mind, continuing their life from bygone decades and into the future stylishly adorned by the customer. On the store’s Facebook page they have stated “Make a lasting impression…wear vintage. These clothes have been impressing for the last 40 years or more…” It is true that clothing from this store would make a lasting impression, due to the one-off nature of the stock. One of the defining features of this store are their statements coats, ranging from animal print, fur, or leather-shearling aviator jackets, alongside their intricate silk scarves burrowed in an old suitcase! In the heart of Cork, situated in the English Market, Miss Daisy Blue produce some of the finest glitz and glamour in Cork. While the prices are costly, you know you are not browsing for a bargain. Bragging the most extravagant and beautiful dresses with intricate detail, this store is perfect for the alternative debs girl, or ladies day atendee, stocking film noir-esque fascinators and hats. They also take vintage bridal by appointment. After acquiring much popularity over the last year with their vintage kilo sales touring Ireland, this Dublin store obtains casual and streetwear reasonably priced perhaps for the customers who are newly being introduced to vintage or also a customer who just likes an element of vintage in their look rather than looking like they just stumbled out of the 1960s. The main features of this store are their statement polo shirts, with features from vintage designer shirts which can be snapped up!